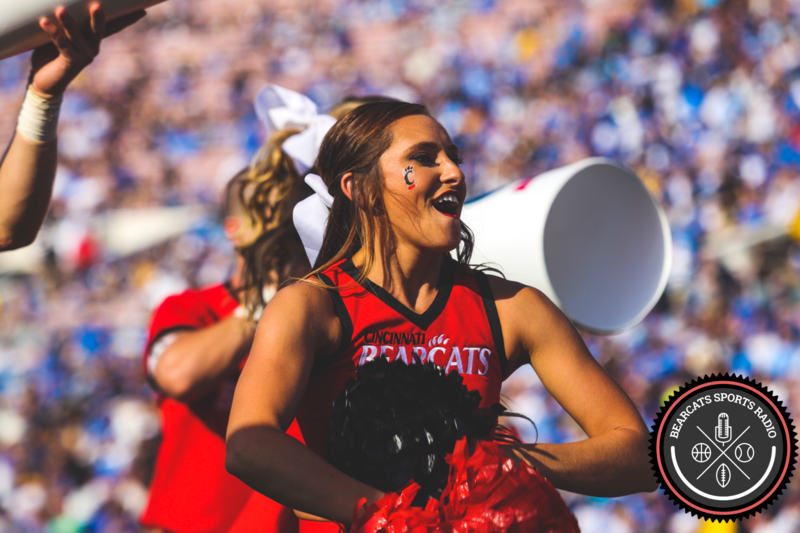 It’s Tuesday at 12:30 p.m. Perry Young is in the Lindner Center carrying his red backpack, decked-out in UA Bearcats gear in the lower levels where the football players scurry about for meetings and training, trying to catch a quick lunch during a hectic schedule. A baseball cap backwards wearing a large smile at all times, Perry stops to talk to us. 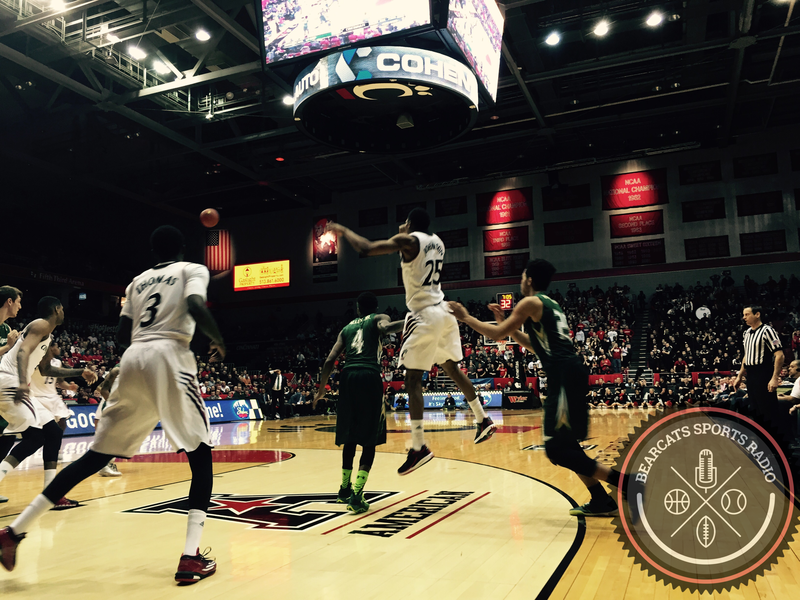 In this, his sophomore campaign, Young has proven to be the sparkplug of the Bearcats defense. While Jaylyin Minor has been racking up tackles and patrolling the middle of the field, Young has been offering a complimentary defensive X-factor on any given play. At 5’ 10” and a generous listing of 208 lbs., Perry flies around the field with reckless abandon, defying any suspicion about being undersized. Except for one suspect targeting call against Miami, he has played aggressive, yet sound, defense. Known as the most energetic player on the team, you can catch Perry dancing before games during warmups and between plays at practice. Even as a true freshman last year, Perry saw action in all 12 games as a backup linebacker and special teams enforcer. He racked up 42 tackles and 1.5 tackles for loss. He closed out his freshman year with 9 tackles against Tulsa and continued the progress this season. He began his career at UC as #46. But as soon as he could this season, he dropped the 4 and switched to #6, the number he’s worn his entire life on the football field – his lucky number. Young started the year with a bang. Against Austin Peay he finished with 17 tackles. You may also recall #6 during the Michigan game. He jumped the snap count to disrupt the QB exchange and caused a fumble. He also defended a receiver, leaped in the air, and not only deflected a sure-fire deep touchdown, but nearly came up with an acrobatic pick. He of course summersaulted at full speed and got right up as if the move was just a typical, everyday play. While the stats sheet tallies just 4 tackles and one pass defended, if you paid attention throughout the game, Young meant so much more to the UC defense in the Big House. Perry had to sit in the locker room during the craziness of the 4th quarter of the Miami game after being ejected for targeting. He discussed how tough it was to leave his teammates at that pivotal moment. He was sure to stand in the tunnel as close as he could to watch the game on the jumbotron and waive his towel to encourage the team. Like a kid peeking out of his room on Christmas Eve, Young was not going to miss the end of the 12th straight win against the Redhawks. Perry, along with several other players, including Jakari Robinson, Hayden Moore, and Korey Cunningham are from Alabama. Young, specifically from Birmingham. He enjoys spending time with his Alabama teammates. They go fishing and do “Bama activities” together to remember home from time-to-time. Rated a 3-star prospect and the #152 safety in the country, he chose Cincinnati over Maryland and Tulane, among others, due to the atmosphere and fanbase. He played quarterback, receiver, running back, safety, linebacker, and just about everything else growing up. He loves the Marvel series, and whenever he can, Perry Young loves to watch movies in his free time. He’ll even go see moves in the theater by himself. Called Weapon X after his idol, former Eagles safety Brian Dawkins, Perry is one of the nicest, happiest people you will meet. Travis Kelce Likes to Dance. A Lot. In his first full year as a tight end for the Kansas City Chiefs, #87 Travis Kelce is off to a great start, with 37 catches, 475 yards, and four TDs. At 6-5, 260 lbs., with a 4.5 40 yard dash time, Kelce is a great weapon for blocking and catching at the NFL’s new “former basketball player / tight end / receiver” position. He was also a great late round addition to my fantasy football team. On Each of Kelce’s touchdowns this year, he has showcased his exceptional white boy dancing skills. Here are a few highlights from his days at UC. Another week of NFL action is in the books. At first glance, it seemed possible that this may be a light week for Bearcats in the NFL. 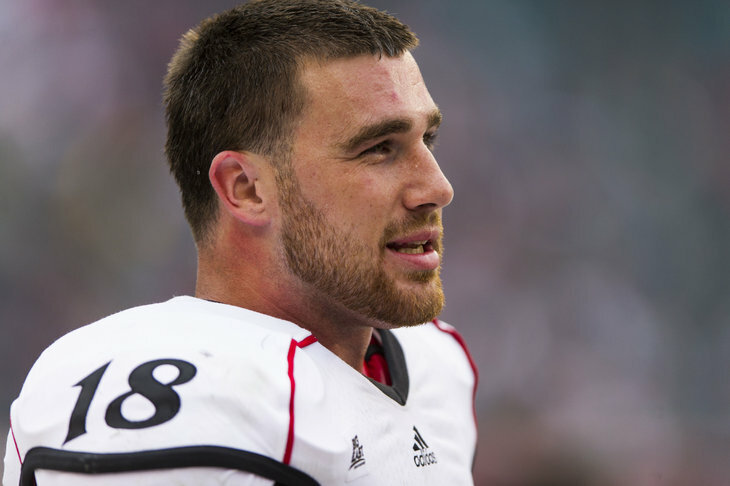 The Chiefs had a bye week, which kept the most productive Bearcat so far this season, Travis Kelce, off the field. 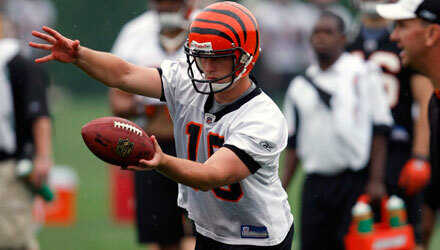 The Bengals were pitted against a weaker defense in Carolina, which meant limited work for Kevin Huber. Then, the Sunday night game arrived.